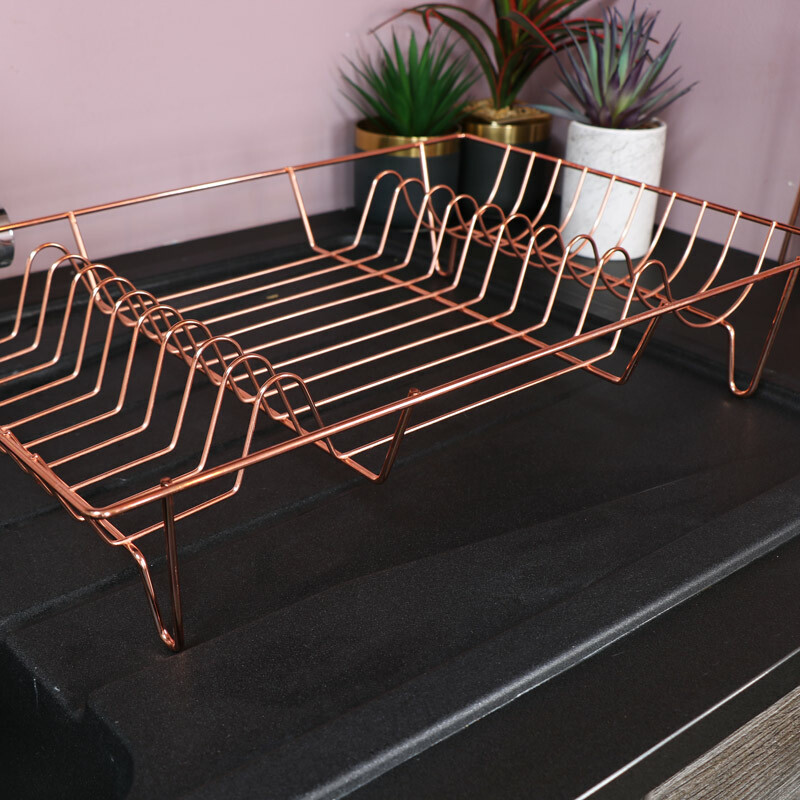 Add some copper tones to your kitchen decor with this metal wire dish drainer. Ideal for holding plates and mugs once they've been washed. Perfect for the modern, contemporary kitchen. 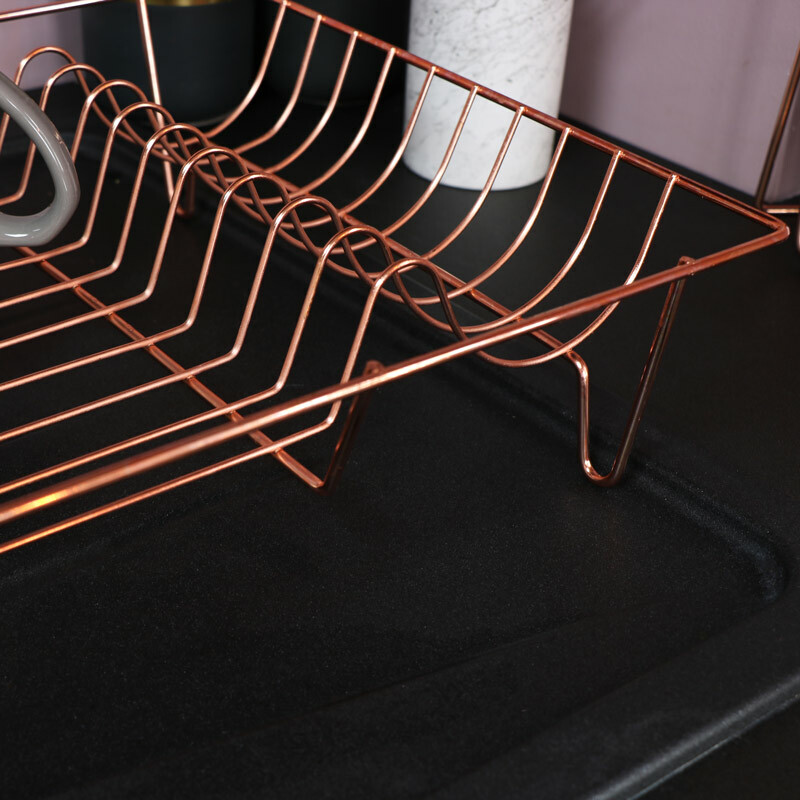 Functional and stylish design in a polished copper that will add some colour to your kitchen. Offering a stylish look to your kitchen decor. Place beside the kitchen sink, this is the perfect place to put your washed pots. 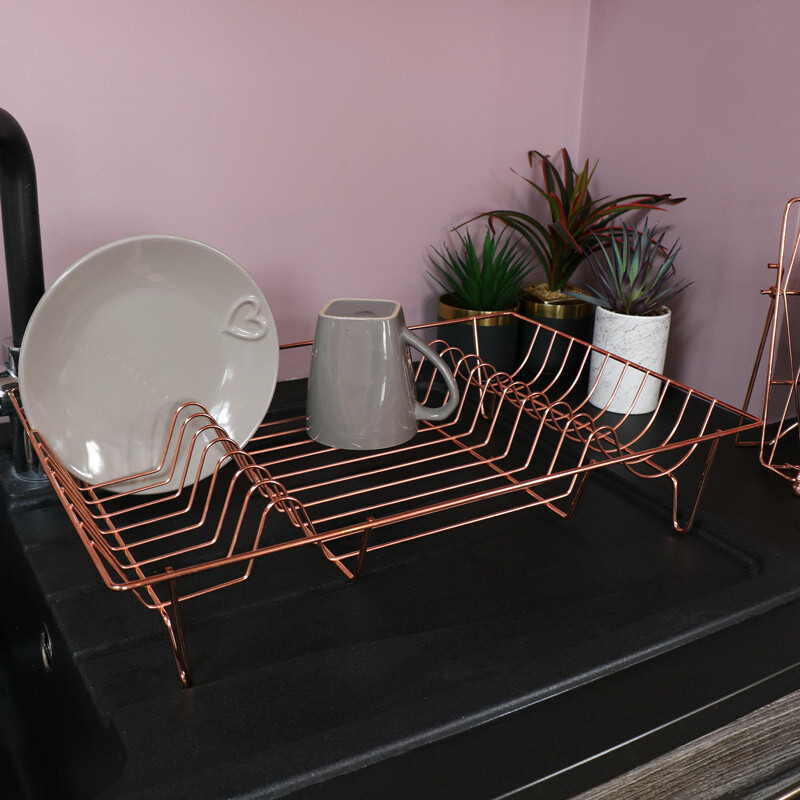 Add some copper tones to your kitchen decor with this metal wire dish drainer. Ideal for holding plates and mugs once they've been washed. Perfect for the modern, contemporary kitchen. Functional and stylish design in a polished copper that will add some colour to your kitchen. Offering a stylish look to your kitchen decor. Place beside the kitchen sink, this is the perfect place to put your washed pots. Made from metal in a polished copper finish, single tier design for kitchen use. We have a wonderful selection of gifts and home accessories. If you're looking to find that perfect gift or just want to refresh your decor, you've come to the right place!